Established since 1992, we have helped raise millions for various charities nationwide and here at Fundraising Events Ltd we like to get involved with every aspect of organising a fundraising event. All of our packages include everything required for your event from start to finish and we strive on the importance of raising those well needed funds for your club, charity or organisation while providing a great nights entertainment. 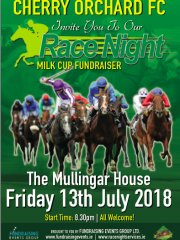 Our Race Night packages have proven to be the most popular and successful format of fundraising for our clients to date, but that is not to say that it is the most entertaining. 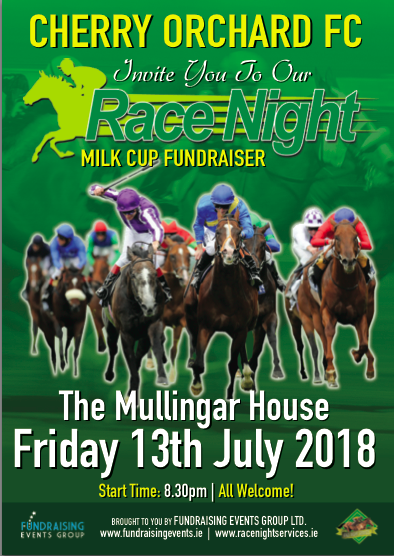 Although, if you can imagine 200 or more people in a local establishment, screaming and shouting at a big screen with 8 horses racing each other – it is without doubt, an amazing atmosphere to be a part of. Depending on how much funds you are expecting to raise, it is very important to opt for the most suitable package and at Fundraising Events Ltd we want to make sure that we cater for your every need. In a nutshell, choosing Fundraising Events is almost the last bit of work you’ll have to do while organising your fundraising event. All you need to do now is choose which package you would like to use, then simply get in touch with us and we’ll take it from there.